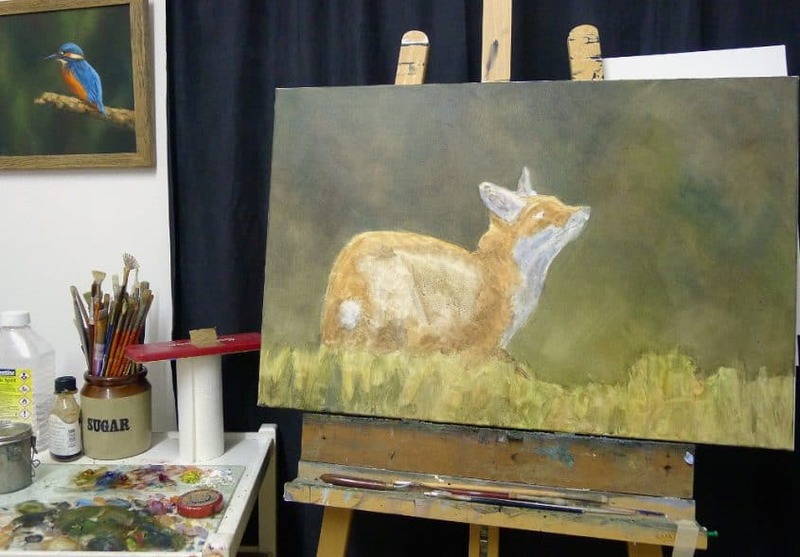 Inspired by a family of foxes I’ve been watching playing and feeding in the field behind my house here in Cilgerran, I created this fox painting. 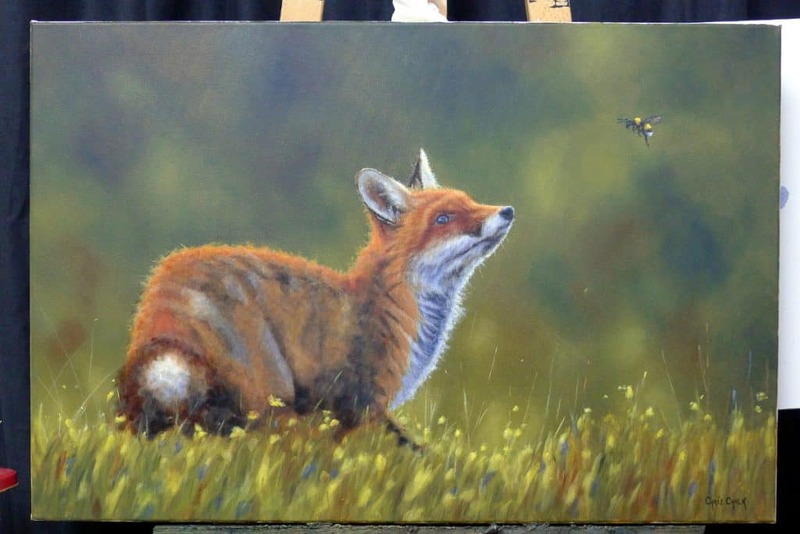 It’s quite a large painting at 30×20 inches, and painted on stretched canvas. 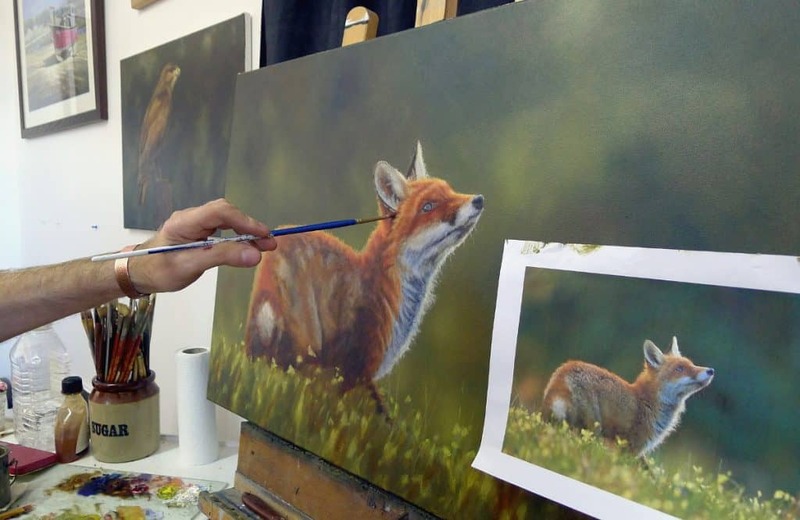 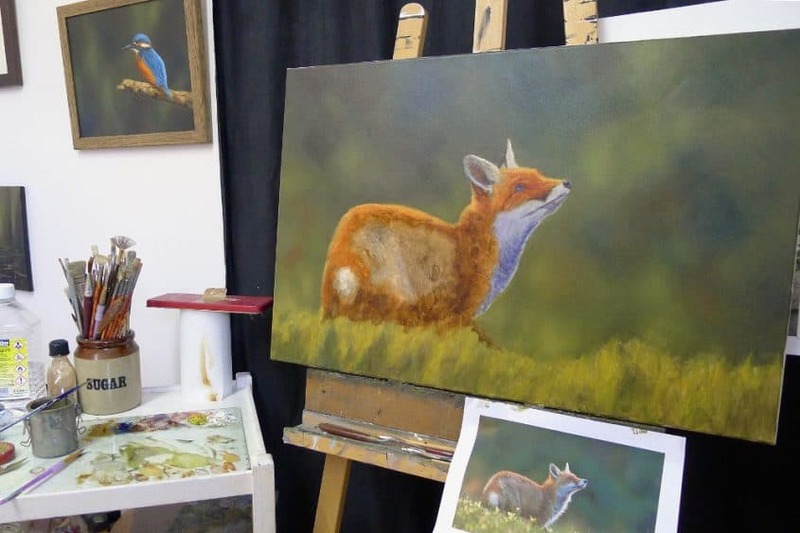 I’ve included the different stages the fox painting went through here as photographs, so you can see how the painting evolved from start to finish. 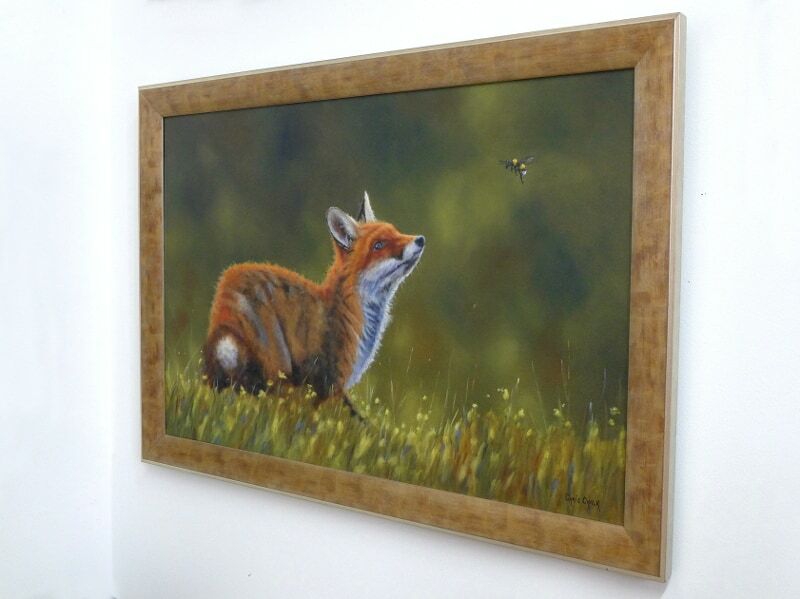 8) The finished fox painting framed and hanging on my studio wall. 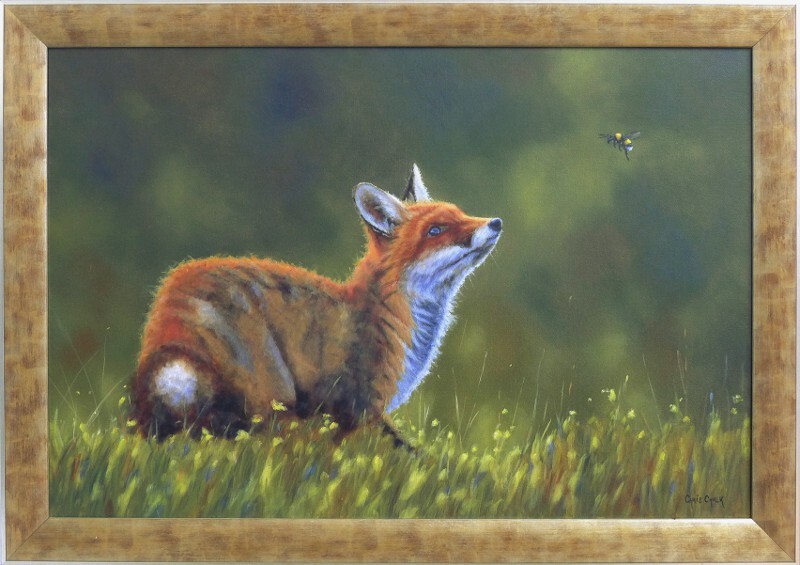 30×20 inches, original oil on canvas ( frame optional extra ). 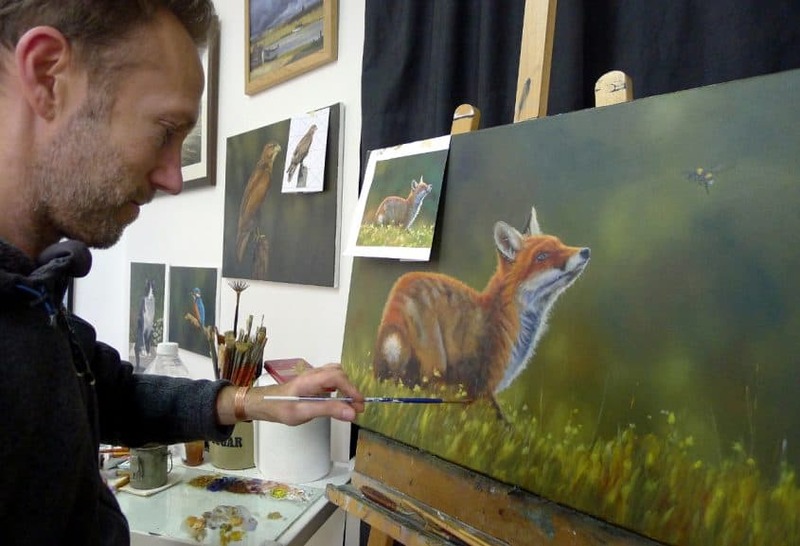 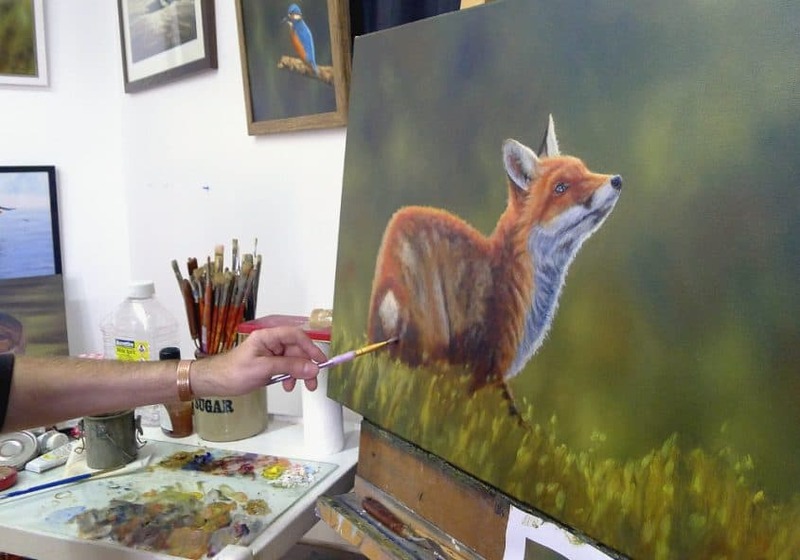 This painting is available to buy here – fox painting for sale.